I have a windows dll that I can load without problem in a unity UWP app (laptop and surface pro4). When I try to load this dll in a hololens application, I have a DllNotFound exception. 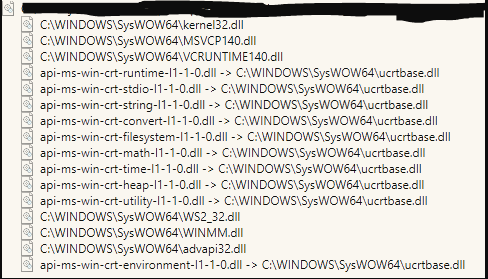 I think the source of the dll can be modified in order to remove dependencies to advapi and WINMM. However, for the visual runtime libraries, I think they are not present on hololens by default. So the question is can I add these libraries directly in the app package? Has anybody already had similar issue?